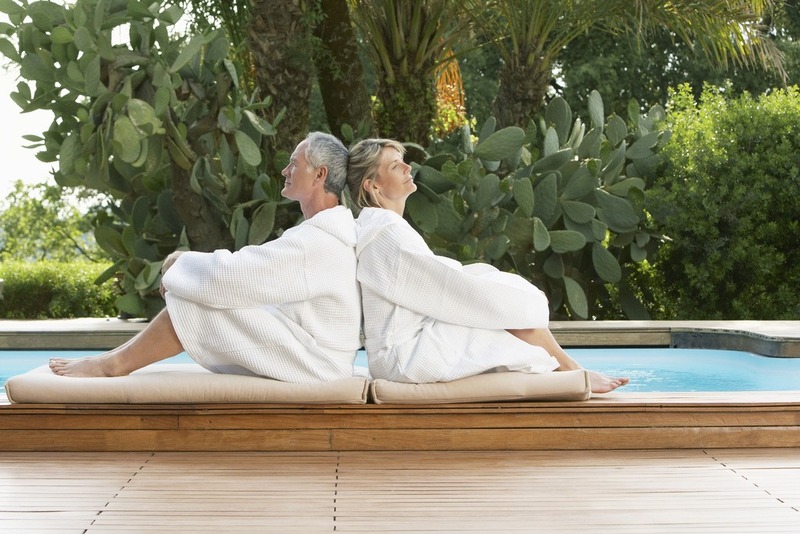 [Updated April 2019] With spring in the air, it’s time to put out the patio or deck furniture and get ready for some great weather. And what better way to enjoy the lake or a nice fire in the fire pit than in a comfy Adirondack chair. And what makes them comfy is a great all-weather cushion. 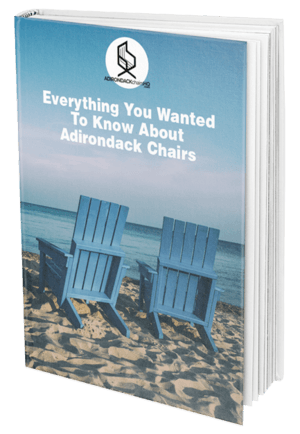 If you missed our article on Adirondack wicker chairs, take a look here for that. You will want a comfy cushion that can stand up to the weather, be easy to maintain and provide your backside with a cushioned ride all summer long. So let’s dive into some possible Adirondack chair cushions that may fit the bill. When buying outdoor fabric it is important to be an informed customer so that you know what you are getting into. Everyone knows the name “Sunbrella”, but what is Sunbrella fabric? What people often don’t realize is that Sunbrella is a Brand of fabric, not a specific type-think of the word “Sunbrella” being used to describe outdoor fabric in general, like the term “Kleenex” is used to describe tissues. Sunbrella brand outdoor fabric is 100% solution dyed acrylic. Solution-dyed basically means that the fibers that the fabric is made of are dyed in a color solution before they are woven-not printed on after the fabric base cloth is made. There are other great outdoor 100% acrylic fabrics that are not necessarily under the Sunbrella brand. These 100% acrylic fabrics are a great option for outdoor use as they are water resistant and the colors can stay true for a longer period of time. In general, solution-dyed fabrics will last almost 3 times as long before fading as simply printed fabrics. Like indoor furniture, outdoor cushions mostly are made of a durable and comfortable foam. 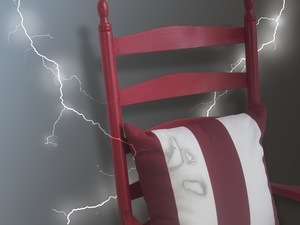 Although foam typically used for indoor furniture can be used for outdoor cushions, even the best fabric will eventually allow water through which can get caught up in the foam structure and can create mold and mildew over time. The benefit to this foam is that it is value priced as it is used in much of furniture production and if you are diligent about taking your cushions inside at the end of every day, this may be a good option for you. There is a second type of foam made specifically for outdoor use. Its structure is more open with larger holes. Picture Swiss cheese, this foam has holes throughout that allow for the water the run through the foam. However, it can be pricey. This is a better option for things that will inevitably be wet, like a boat cushion, or cushions that you plan to leave outside through the treacherous spring and summer weather. The thickness and foam density also determine how comfortable the cushion will be. Of these, density is more important because it is able to give more support to your backside over longer periods of use. In general, a thinner and denser cushion can be as comfortable as a thicker but less dense one. When you have a piece of outdoor furniture it is also important to think about what your cushion is sitting on. Make sure there is some sort of slating or woven base that will let any water run through the cushion and help to dry the cushion after rain. This is where wicker construction really shines over traditional wood. The wicker weaving allows for many openings where water can pass through and air can dry out a cushion. Alright, now that you have some of the basics, let’s take a look at some cushion options for your Adirondack chairs. Covered in Sunbrella fabric and filled with a thick poly filling, the Phat Tommy is a multi-segmented cushion that provides both back and seat comfort with the seat break at 18 inches from the bottom edge. Customers who purchased this cushion praise its comfort and stylish look. They also agree they clear plastic strap holds the cushion securely to the chair. Can fit both an Adirondack chair and a small lounger. Customers who purchased this cushion consistently are impressed with its durability and good construction and a very comfortable feel. Also, its fabric choices are simple and reasonably priced compared to competitors. This three section high back chair cushion from Greendale has circle tacks which create secure compartments to prevent cushion fill from shifting. String ties secure the cushions to outdoor furniture. An overstuffed polyester filling provides comfort and UV protection reduces fabric fading. Customers who purchased this cushion universally praise the cushy comfort, but some say the circle tacks reduce that feeling. A slightly different design, the Urban Designs Cushion is made of 100% Dacron polyester and uses Sunbrella fabric in 23 different prints and colors. Sporting a 2-inch thick seat and sizing specifically for an Adirondack chair this cushion can also be ordered in custom sizes for an added fee. Customers who purchased this cushion loved the thick and comfy cushions and the many different colors it comes in. Product dimension: 21″ wide, 21″ deep. Back dimension: 20″ wide, 28.5″ deep. Cushions are made 2″ thick. 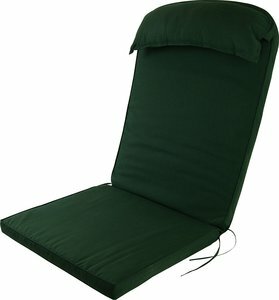 There are many great options for seating cushions available for every budget. All the choices listed are well-made and comfortable. Although the Sunbrella fabric is a great product, it does tend to add a lot to the price tag per cushion. For those who favor comfort and value, we give the nod to Greendale Home Fashions for its plush cushioning and overall cost per cushion.